"Perspective View of the Grand Attack on that City [Havana] and Punto Castle," Dominic Serres published by Carrington and Bowles, 1762, Anne S.K. Brown Military Collection. 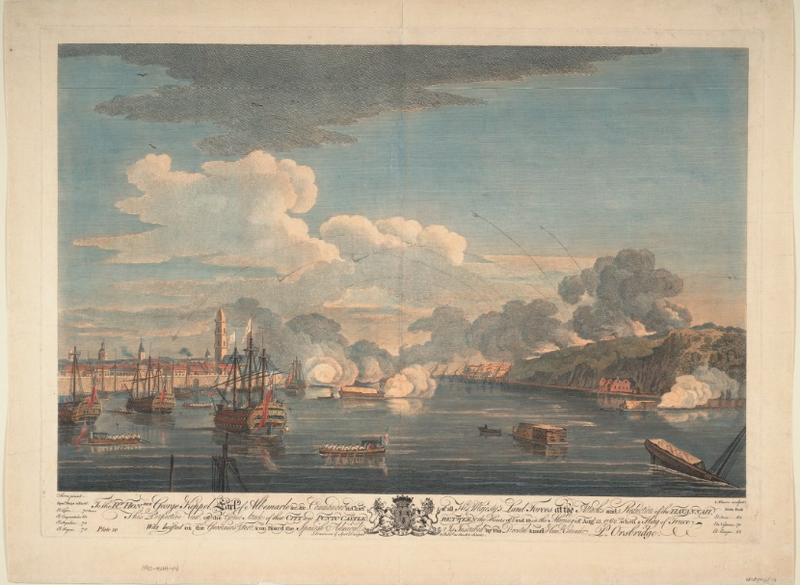 Printed the same year as the English victory, this print depicts the siege and storming of Morro Castle (titled Punto Castle here). 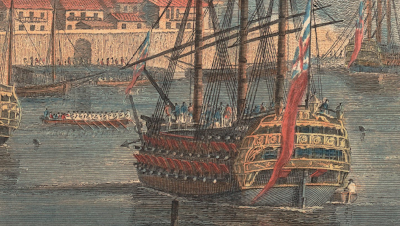 A British invasion force swooped into Havana and immediately began to bombard the Spanish defenses. The Spanish were more resourceful and well entrenched than the British realized, and the reduction of the fort took two months to compete. 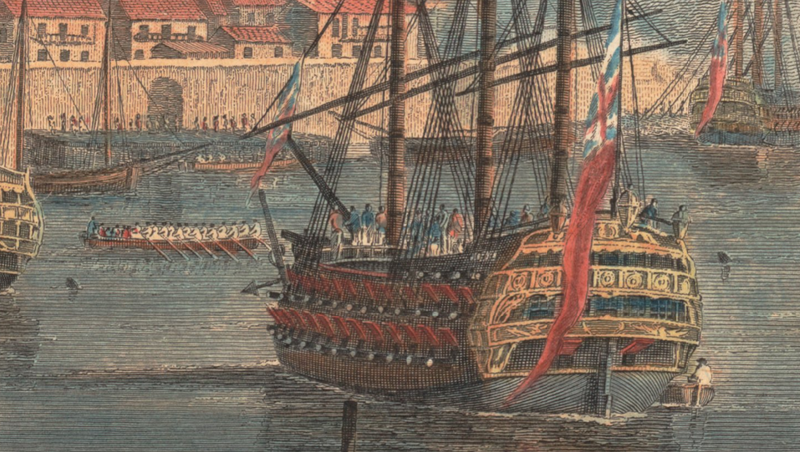 What we see in the main body of the image shows some of the more mundane aspects of a siege. 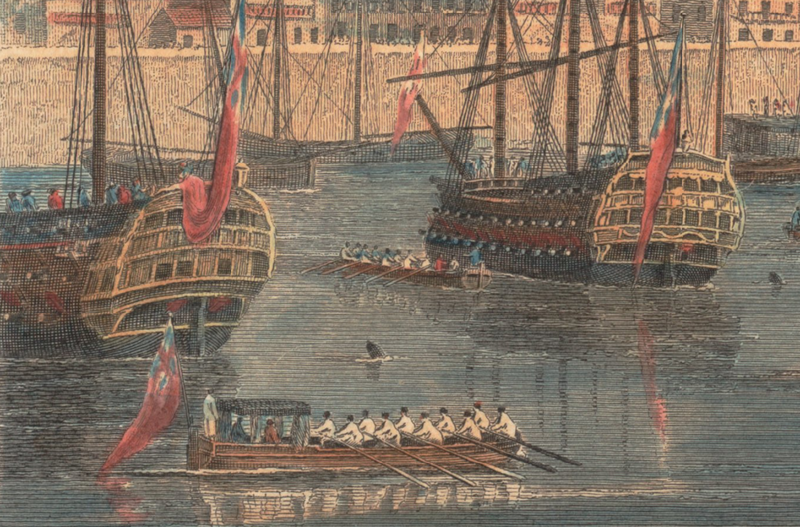 People going about their business (in this case, rowing and riding barges between the large warships) while bombs and balls fly. Floating between several anchored warships are a pair of barges. 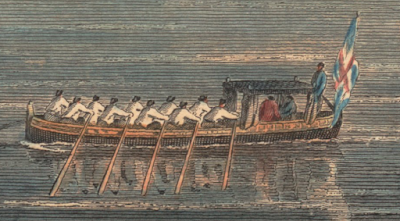 Each is propelled by oarsmen in shirtsleeves with barge caps. 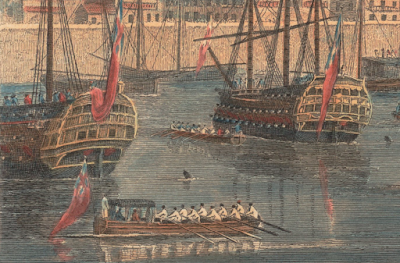 At the stern of the less ornate barge in the background, the coxswain wears a blue jacket. The same is true of the dress for the bargemen in the background here. Aboard the ship, the indistinct tars wears a mix of blue and red jackets with white trousers and black headgear of some fashion. 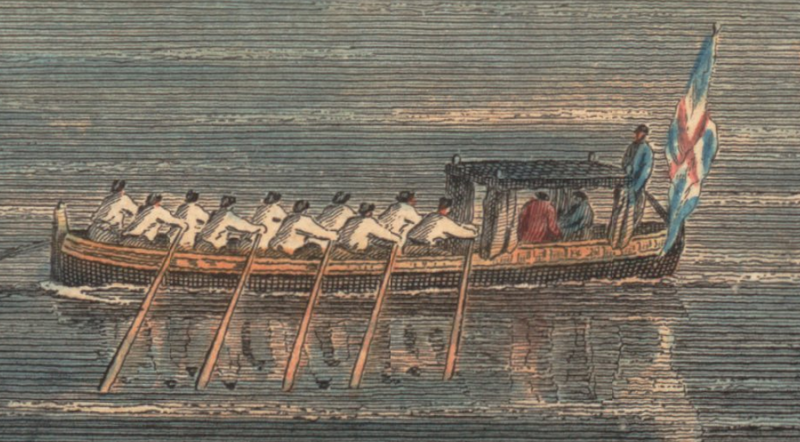 The only surprise in the detail of the oarsmen here is that their barge caps have a full brim, rather than the short jockey style so common among many barge crews.